While roaming the shortgrass prairie, this coyote glanced towards my photo blind in mid-stride. 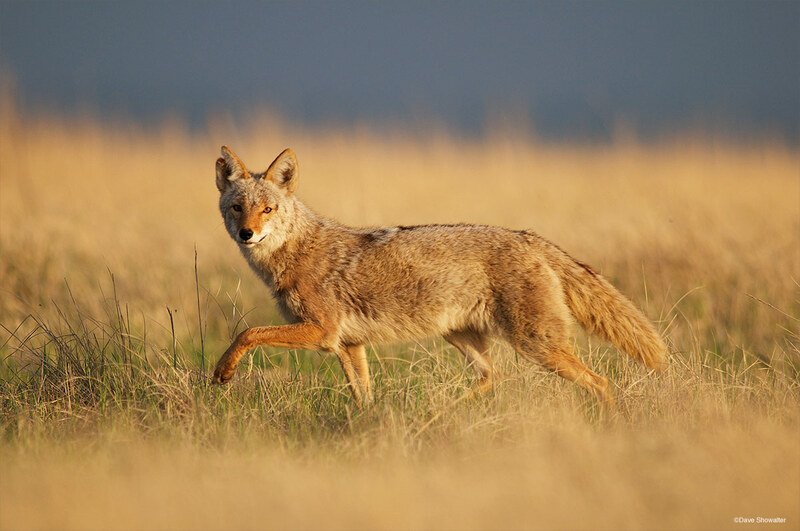 With good grassland habitat and abundant prey, Rocky Mountain Arsenal NWR is a stronghold for coyotes, the top predator in the refuge. Photo © copyright by Dave Showalter.